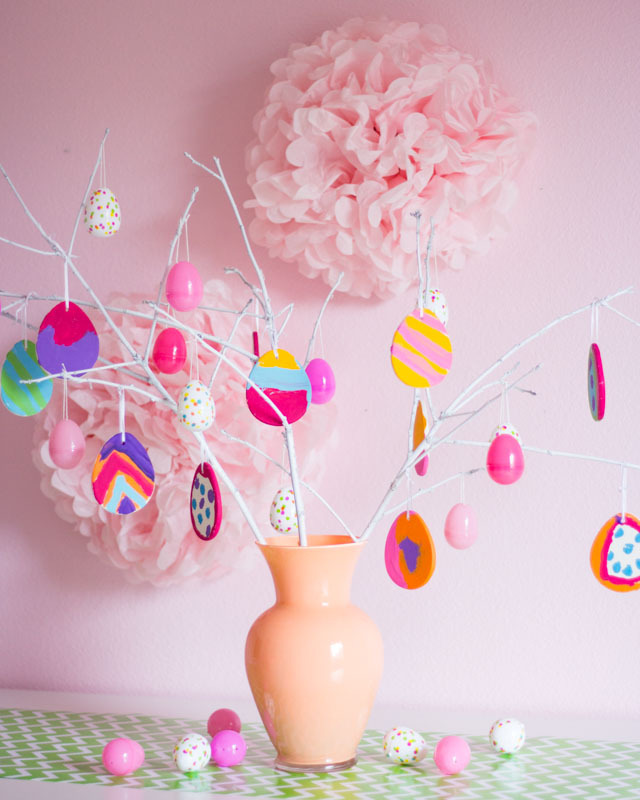 Ever heard of an Easter egg tree? 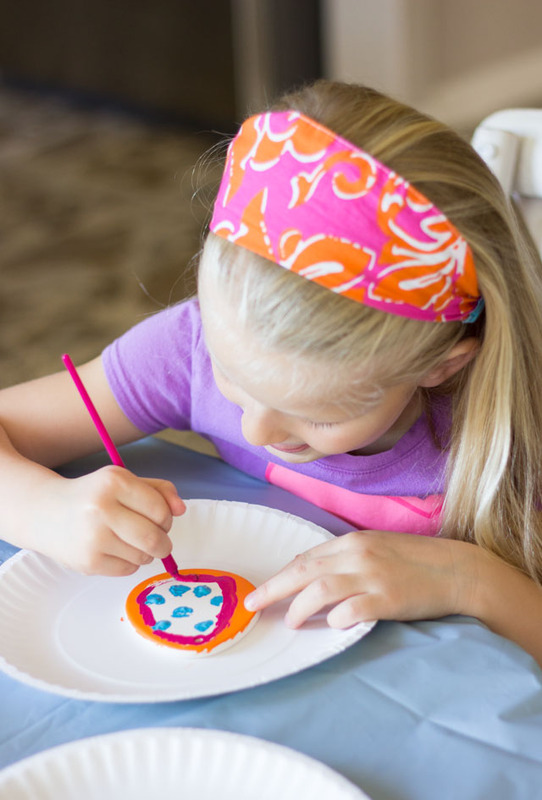 The girls and I made one the other day using these ceramic Easter egg ornaments from Oriental Trading, and I think it turned out so cute! It is the perfect spring addition to our living room mantel, and I love that it shows off Stella and Hazel’s creativity. 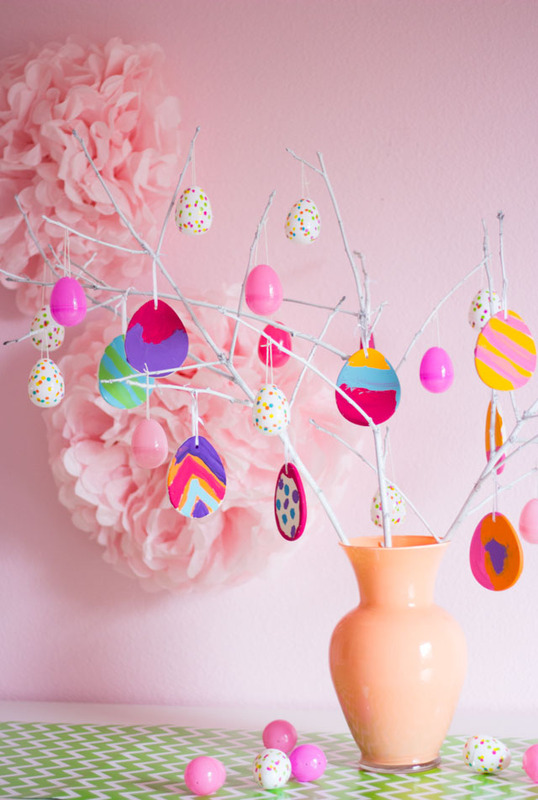 All you need to make your own tree are some eggs, a couple branches from your yard, and a pretty vase! 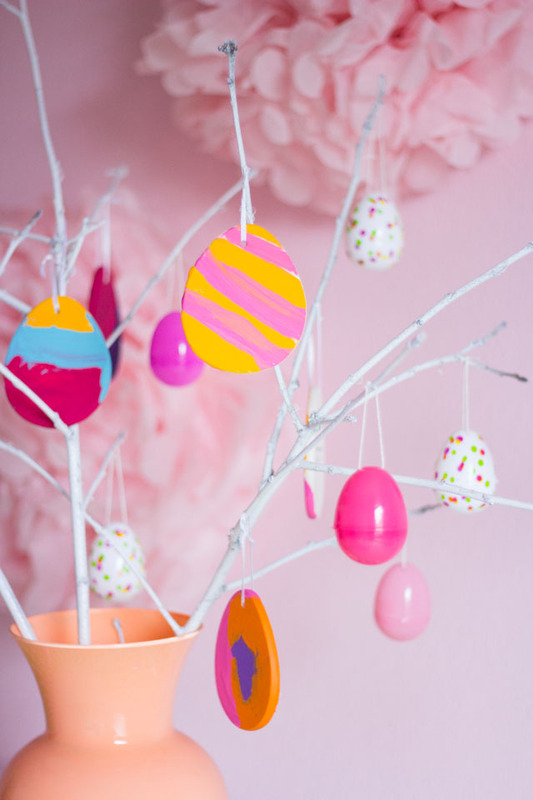 I added their ornaments to some painted branches along with a few plastic eggs and arranged them in a pretty vase! Head to Oriental Trading’s blog for a full list of supplies and the step-by-step tutorial!